"Baby Animals Address Labels" product is already in your cart. 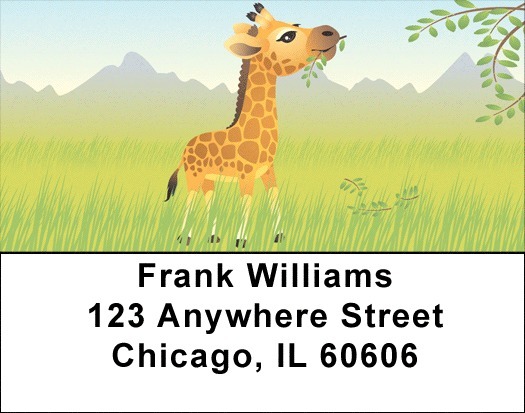 Bring a smile to your face with these Baby Animals Address Labels featuring 5 rotating images of cartoon animals in nature. The menagerie includes an elephant, a lion, a monkey, and a giraffe.